Rakuten Super Points 3X POINTS! Buy it and earn 93 points! 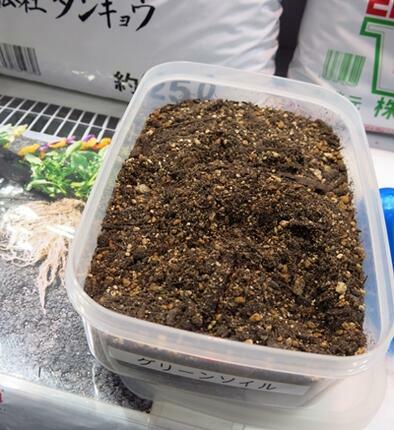 I'll pick soil for plants to live that is best for the plant. 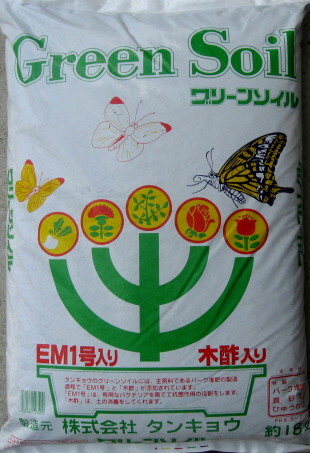 It is a green soil! With a high-quality organic quality! And the ingredients are all natural! It is 18 L with well-established manufacturers products. The recommended contents are excellent. 1 packing will be put up to three. The advantage of 'green soil. Bark compost using primary raw materials. In the process of manufacture of bark composts, [No. 1 of EM ' and 'bamboo vinegar"is also added. EM No. 1 good bacteria to grow, and antimicrobial activity of pyroligneous acid the disinfection of the soil. Soil pH is adjusted to 6.5-7.0.